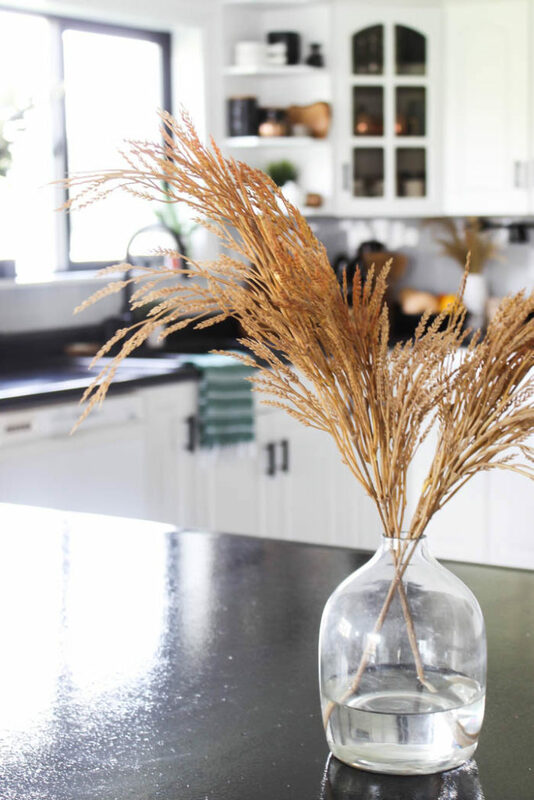 Did you catch my fall living room tour last week? 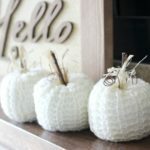 I did something this year and majorly simplified my fall decorating! 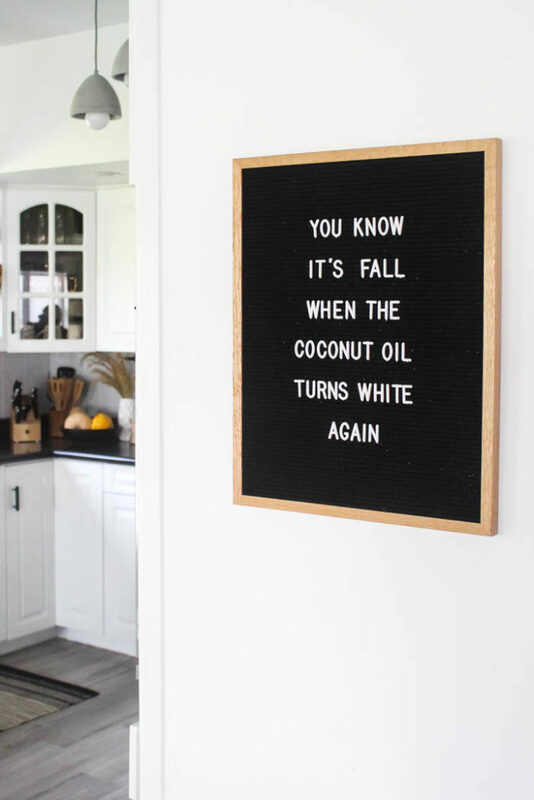 Don’t get me wrong… I LOVE fall. 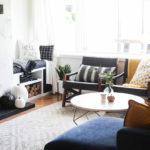 And I LOVE a good pumpkin filled home tour! 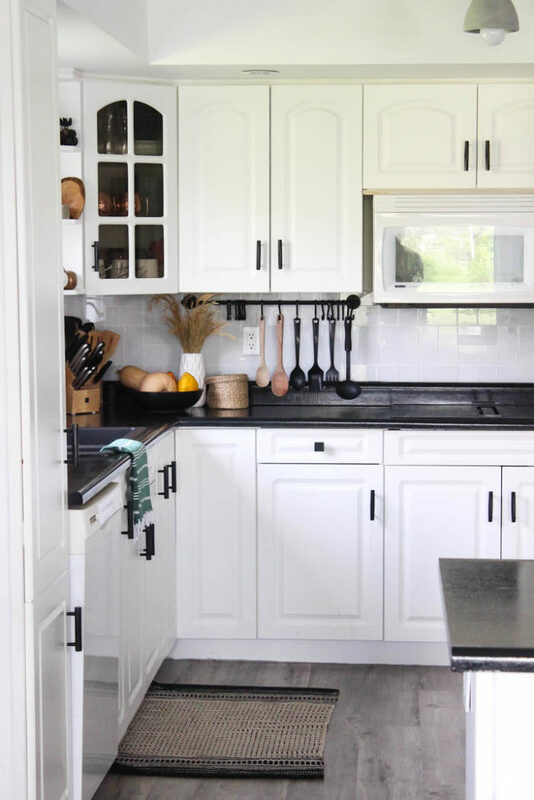 But with three littles, new back-to-school routines, and renovations, I was craving some simplicity. 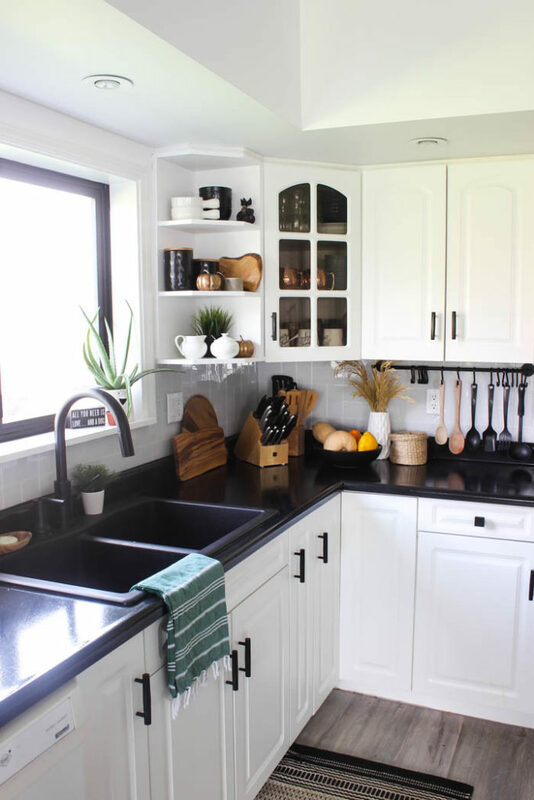 So I vowed not to remove anything from my countertops that we use and only to add a few colourful additions for our modern fall kitchen tour. And if you’re craving more pumpkins, don’t worry! 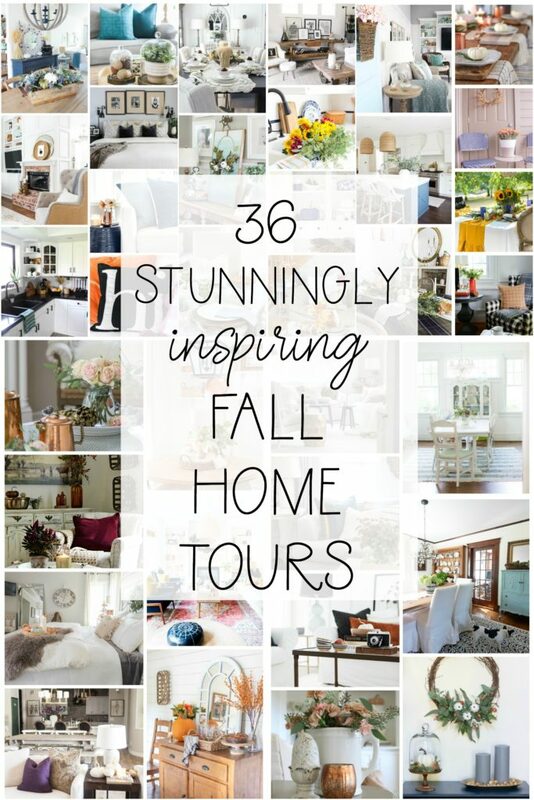 I’m joining 35 other bloggers who are sharing their stunning fall homes too! 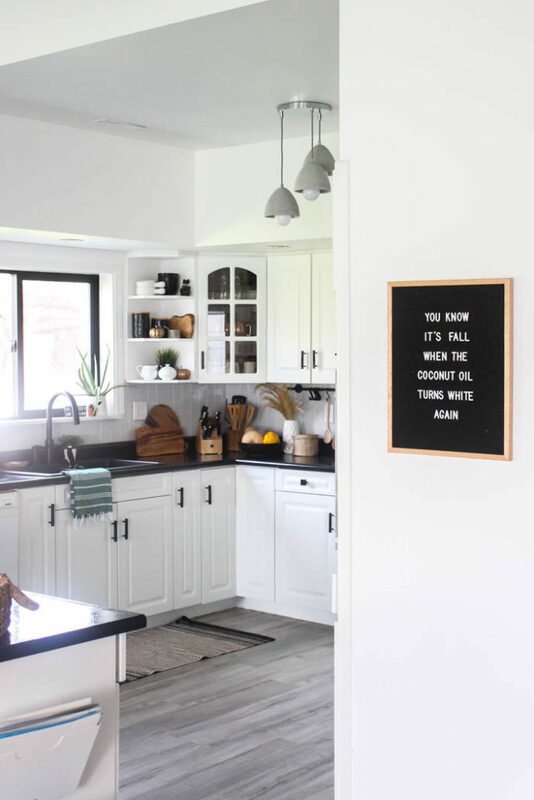 A letterboard is the easiest way to change your home with the seasons. I change it up every holiday too and laugh as I try to come up with things to write! 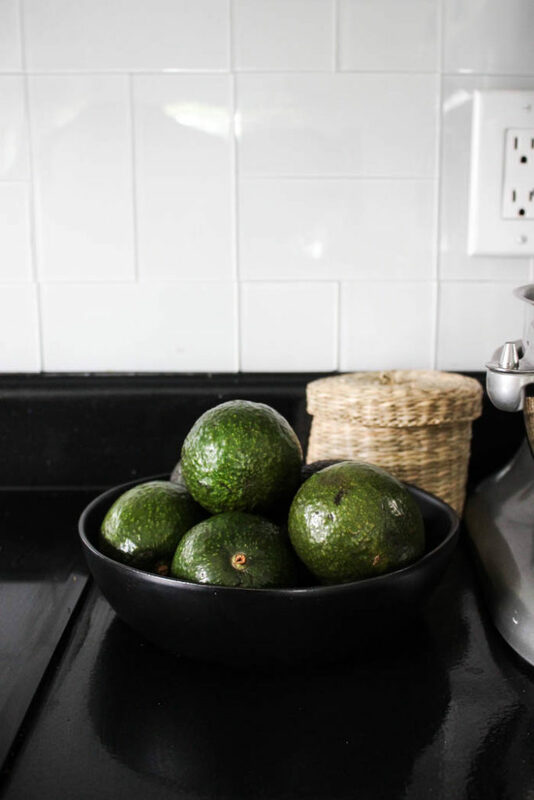 There were a lot of natural elements already in my kitchen, like the wooden cutting boards and green potted plants. I think those pieces naturally give off autumn vibes without any extra effort! 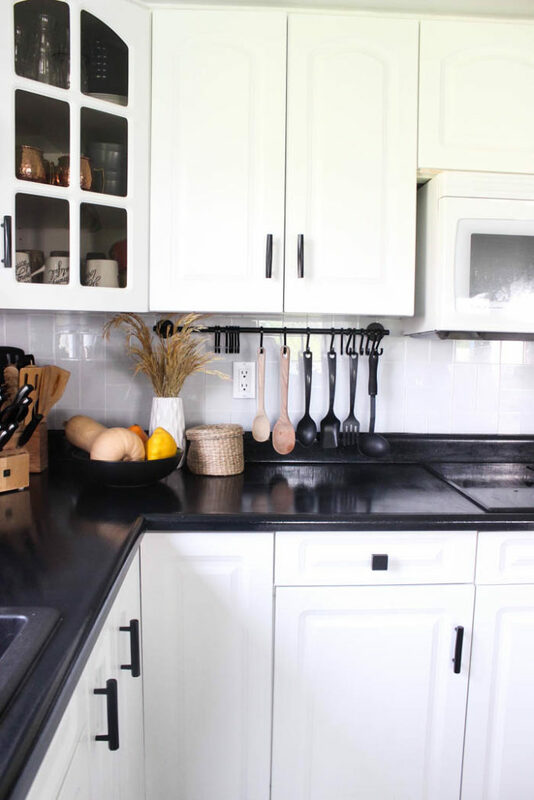 I did remove one utensil from our utensil bar… because a bright red just wasn’t jiving with my decor. But how often do we really use a potato masher anyway?? lol. 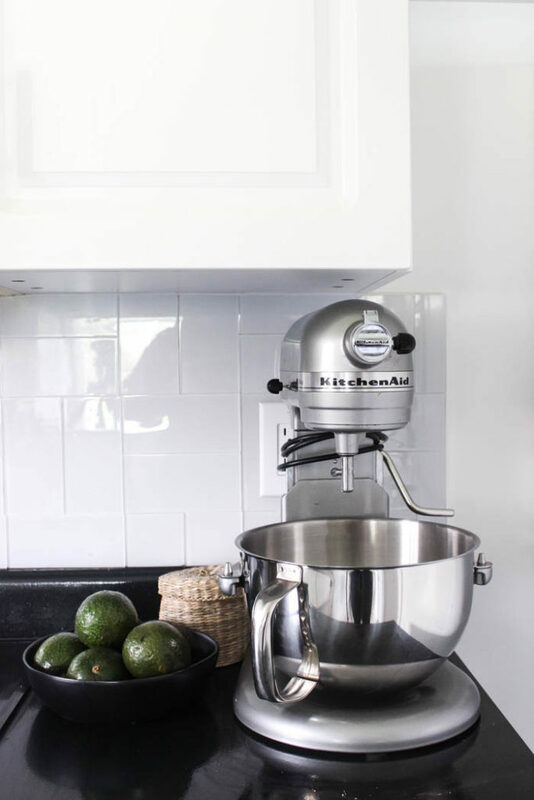 My Kitchen Aid mixer is something that I would always have traditionally removed from the kitchen during a tour. But we use this guy ALL the time and she’s heavy! So she’s shining bright on the counter. 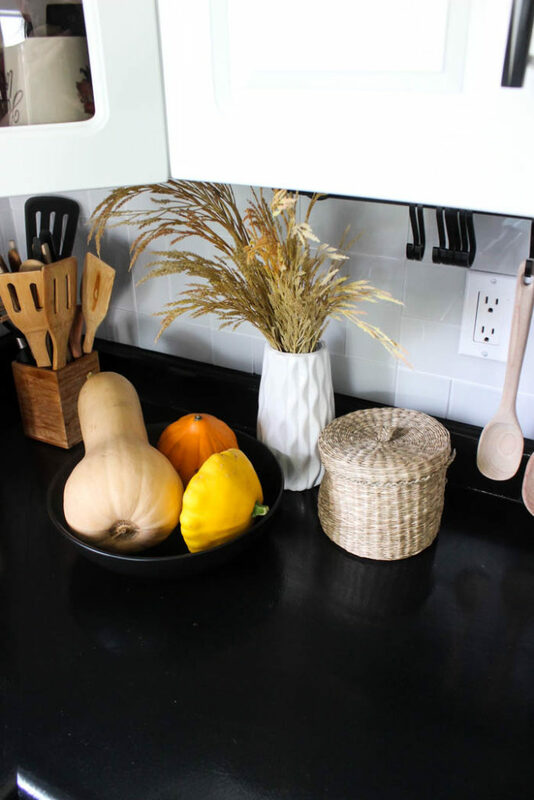 A few woven baskets, seasonal veggies, and some husks of wheat was all our counters needed to bring in the seasonal colours! I also added a couple of small golden pumpkins to the shelves because I just couldn’t help myself! 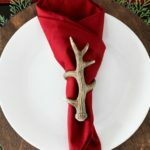 I used them last year when I made these place settings, and I still love them! 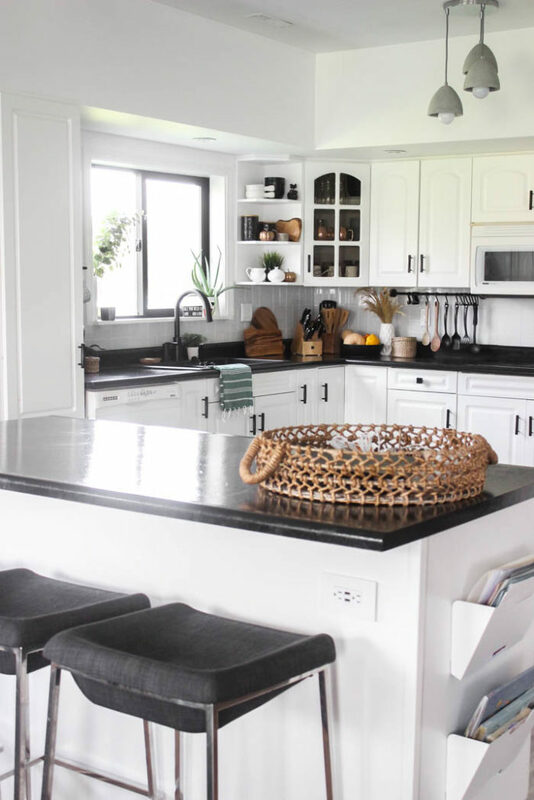 A kitchen is such an easy space to decorate for the season! Add a bit of colour and texture and you’re all set! 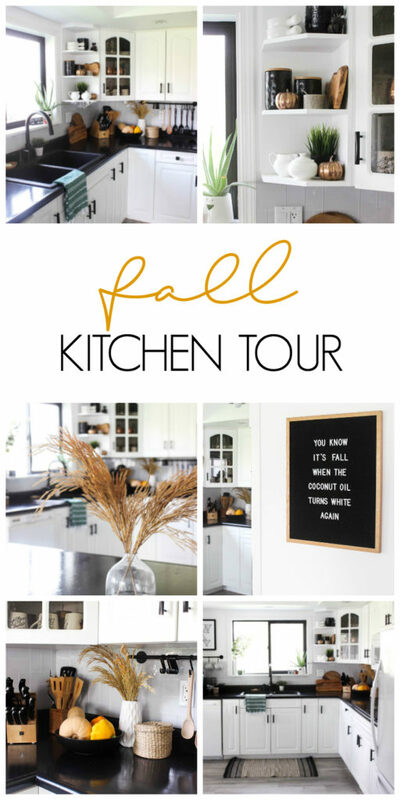 I hope you enjoyed seeing our fall kitchen tour! There’s a lot more where that came from! 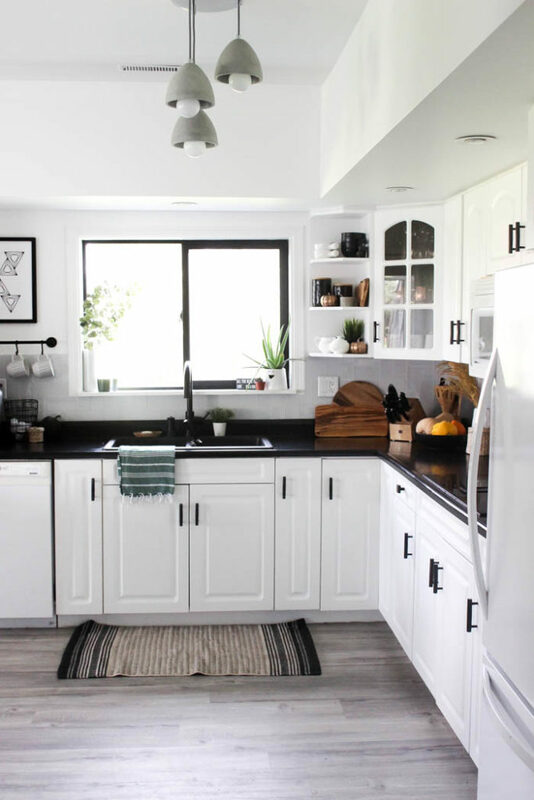 If you’re curious about our kitchen, come see how we did a FULL Kitchen Renovation in just one weekend! 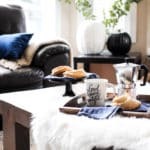 Or visit our Fall Living Room Tour! It’s all so beautiful, Lindi! 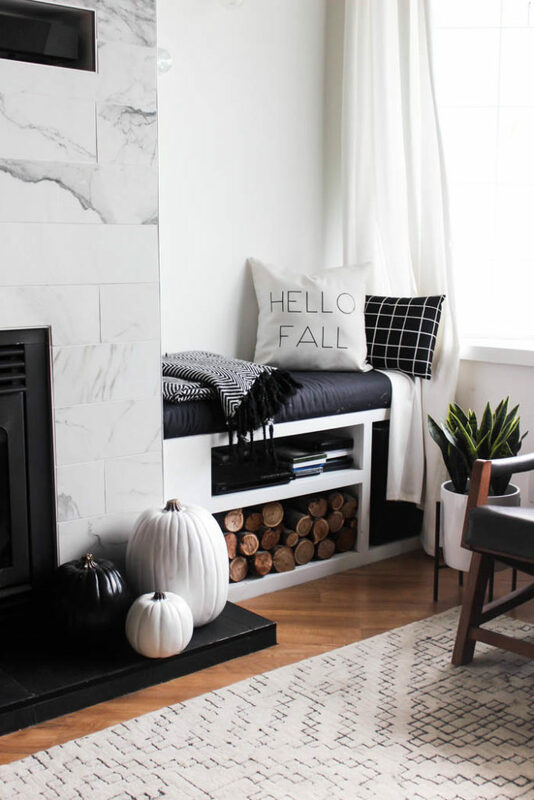 You’ve added just the perfect amount of fall and I love all the black and white! Love every bold fun detail. 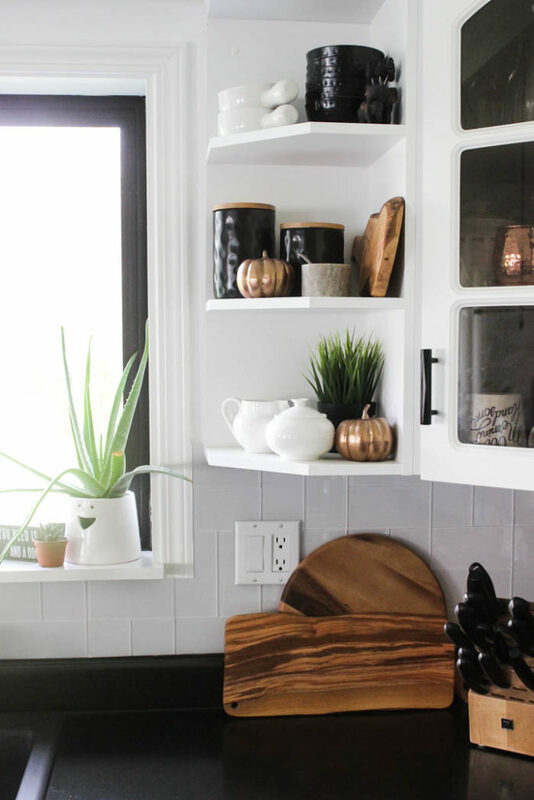 I love your corner cabinets with the glass, the whole corner is cuteee! 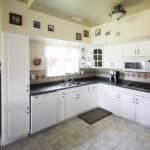 Your kitchen is AMAZING! 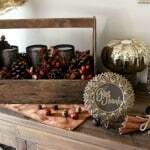 I love all the simple Fall touches. Happy Fall! 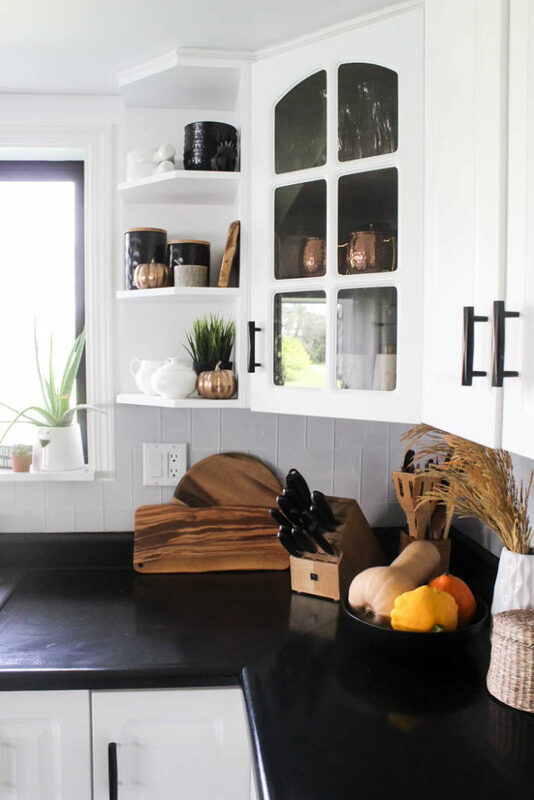 I love you simple fall kitchen tour! I am featuring you today at TFT. Have a great day!